This is the fifth in a five-part series about the Breathe Life core values. Well here we are, at our fifth value, the last, but certainly not our least — Playfulness. It’s been quite the experience diving into these values, finding out not only from my fellow Co-Founders but also the Breathe Life team members what each value really means to them. It’s been fascinating to see just how much these 5 values relate to every aspect of our business, from how we hire, to how we build, to how we interact. It’s also been an exercise in communicating openly which will, in turn, lead to holding ourselves accountable. We’ve now told the world what we stand for and it’s time to make sure that we are truly living it, that they’re not just 5 words hidden away in our Google Drive. So, to wrap this series up, what does Playfulness mean to us and how do we integrate it in our every day work? Playfulness is a difficult one to properly express, especially in the startup world. It could very easily be misconstrued as meaning we’ve got ping pong tables, grab beers every night or have designated nap rooms in our office. Those things are definitely perks, but this isn’t what we mean when we say Playfulness. What it means to us is that everyone is comfortable in the office and with their colleagues. It means that the team is able to laugh together, joke around, relax and hang out. A startup environment can often be quite stressful and it’s important that team members can take the time to chat, unwind, grab a coffee together, go for a walk, etc. Not only will this help reduce burning out it’s also a proven fact that employees that know each other well and get along well, work better together. As an added bonus, we all come from different backgrounds and have different hobbies and skills so we stand to learn something new from each other. As an example, a few weeks ago I learned that Céline, one of our software engineers, is also a really talented photographer and had an upcoming exhibit at a cafe. The Founders and I wanted to find a way to support her but recognized that taking the whole team there one afternoon might not be feasible. Instead, we decided to encourage team members to go check out her exhibit by paying for their coffees or food while they were there. “from the very beginning, I knew that with each new engineering team member, I would need to make sure that I took time with them outside of the office, that we grabbed a coffee, got to know each other, found common ground, etc. It’s the best way to welcome new hires and to bring camaraderie to the team”. We encourage this with the whole team and are always searching for ways that they can get to know each other better. This is of my biggest priorities as CEO and I thought I’d share some of the things we’ve put in place to facilitate this. Every Monday we have lunch together, it’s a time when anyone can share an update on what they’re working on, but it’s also meant as an hour where everyone stops working and can spend time with their colleagues. We host an annual Summer Extravaganza. 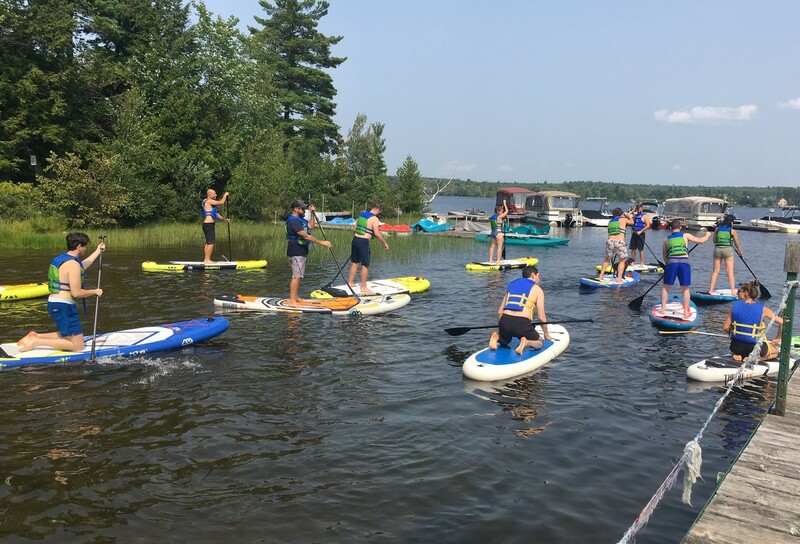 Last year the whole team came to my cottage and we spent the day out on the boat, learning to Stand-Up Paddleboard and hanging out. 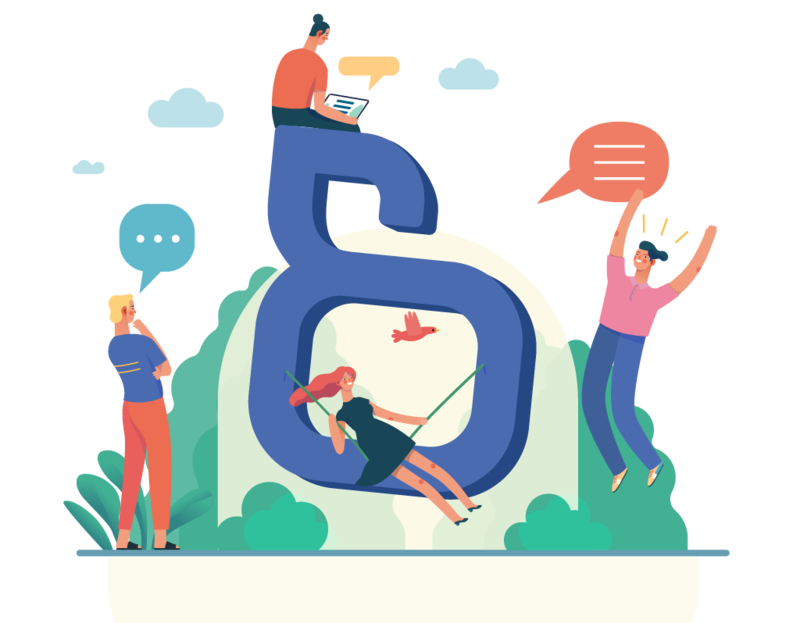 We have quarterly off-sites where we give bigger updates, have team-wide work sessions and go out to grab drinks and bites afterward. Our Christmas Party is much more than a party. Last year we hosted a Secret Santa party with the theme “shop local”. 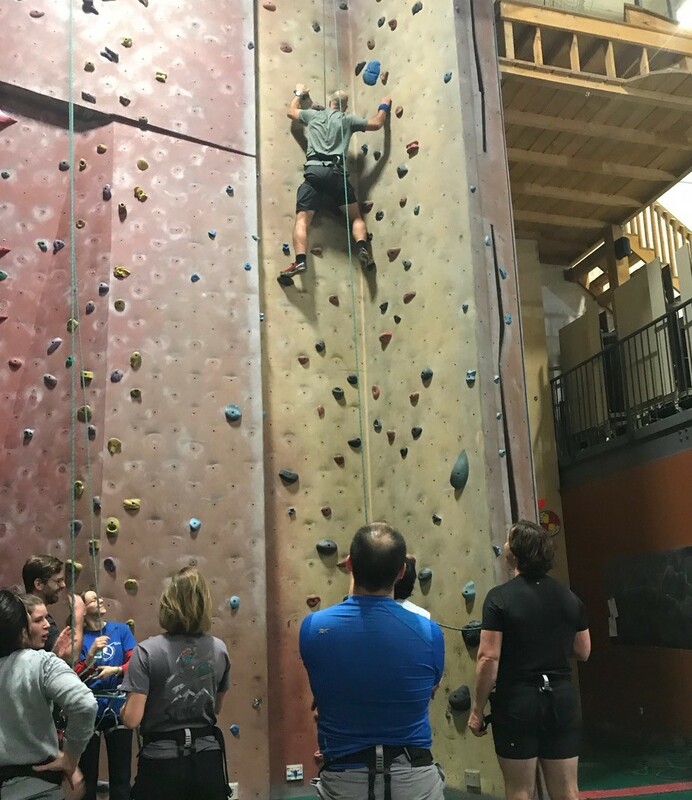 After that, we went rock climbing and each team member had the responsibility of being the belayer for someone else (or as we called it — The Insurer 😉 ). It was a great experience to see everyone bonding and cheering each other on. I’m always on the hunt for other great ways to help the team unwind and get to know each other so if you’ve done something that’s worked well please share below. There we have it, I’ve written about all five of our values — Human, Trusting, Proactive, Resourceful, Playfulness. I’ve covered everything from what they mean to us, how we implement them on a daily basis and the effect they have on the scaling of Breathe Life. Now it’s time to make sure they are always top of mind and continue to guide our decision making!